The homemade sauce and noodles are what make this lasagna so tasty, but you can substitute prepackaged spinach lasagna noodles and a good bottled low-fat marinara sauce, if you prefer. The noodle recipe makes more than you'll need in case some fall apart. You can make the sauce in advance and store it in airtight container; freeze up to two months or refrigerate up to three days. 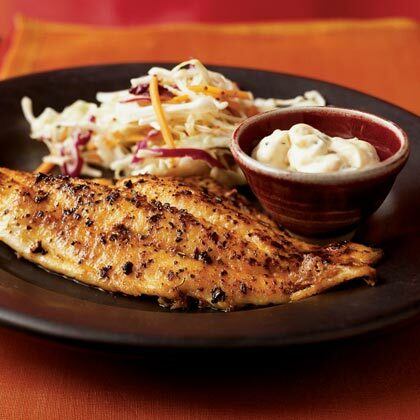 This fish is "fried" without the calories or trouble of deep-fat frying. For a spicier sauce, add more hot pepper sauce. 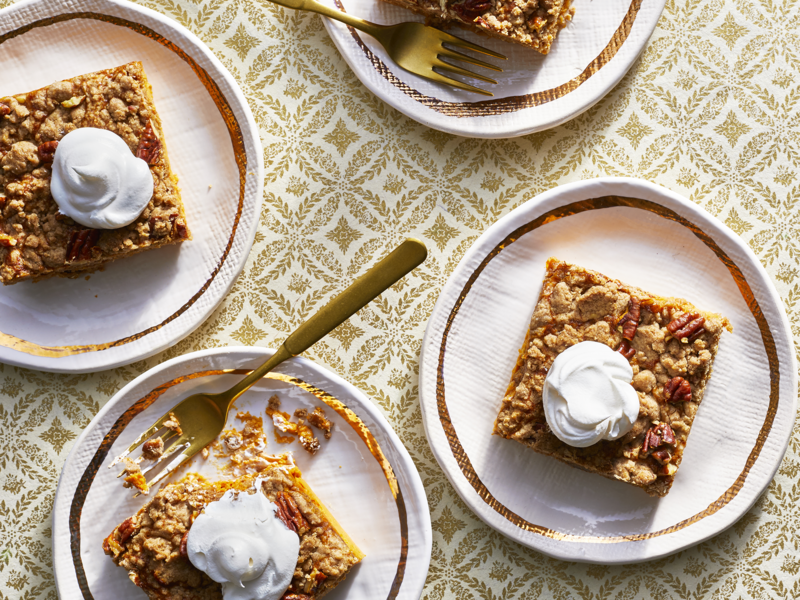 Pumpkin pie and coffee cake's best features unite in this easy dump cake that's perfect for a crowd. 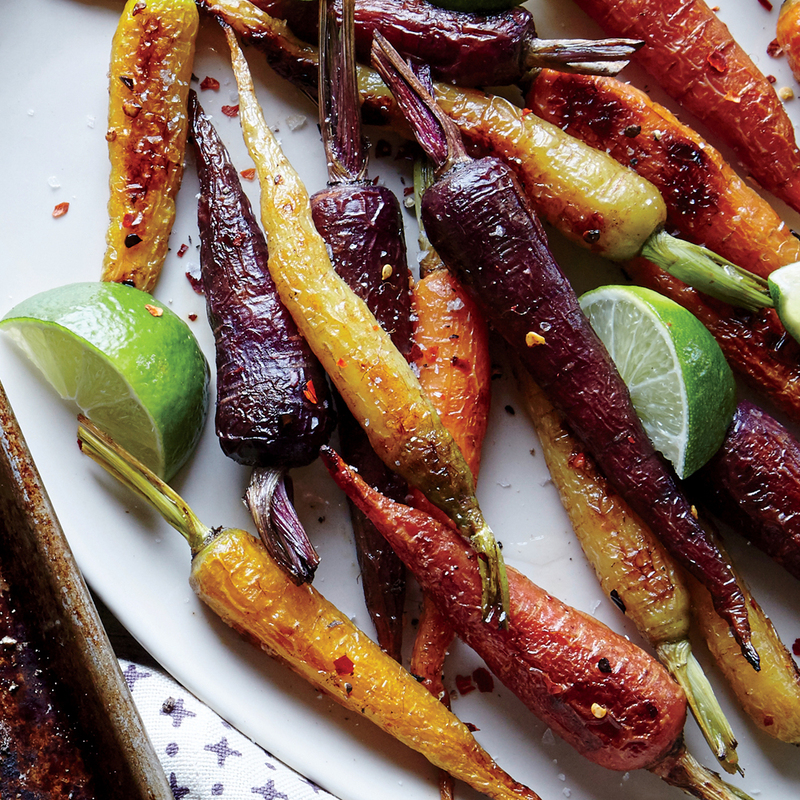 A quick roast in a 500° oven, seasoned with olive oil and crushed red pepper, transforms baby carrots into a praisworthy side. Finish with a pinch of salt and lime wedges, if desired. Notes: You can adapt this quick salad to complement any weeknight meal. This recipe works equally well with lemons—use 3 quartered. Use the fruit in grain salads, pasta dishes, or legume-based tagines. 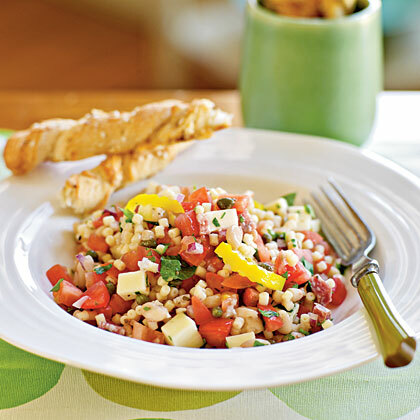 Turn instant brown rice into a colorful Tex-Mex salad by adding avocado, black beans, tomato, cilantro, and cumin. A touch of butter adds rich, luxurious flavor to the meringue, but admittedly, it also deflates it a bit. 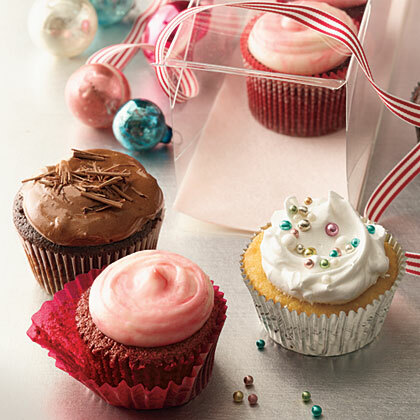 For a fluffy, snow-white cap, omit the butter as we did for the photo. 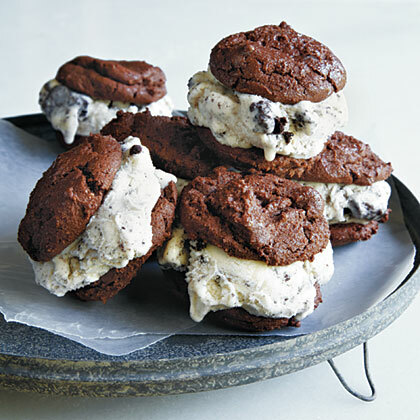 If you've ever bitten into an ice-cream sandwich only to feel cheated of cookie, these little rounds deliver what you've been missing. Serve 'em up as a wonderful side or a hearty snack. The best part: Despite the deep-fried flavor, these onion rings are baked, so you won't have the fat and the hassle of frying. 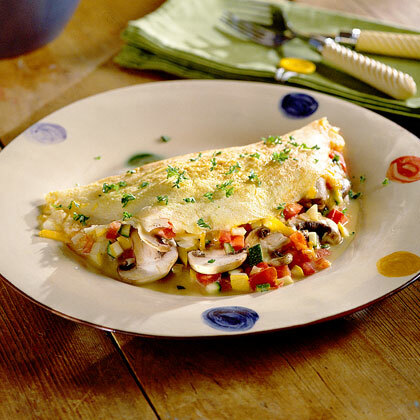 Serve with ketchup mixed with a touch of honey or cinnamon, or a dash of hot pepper sauce. 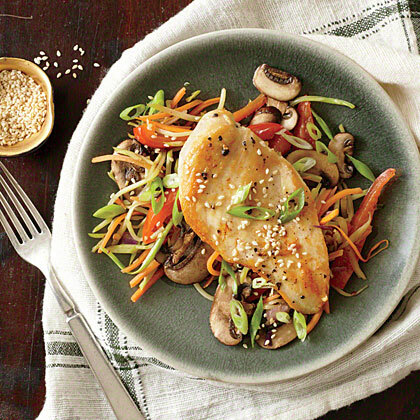 Toasted sesame oil and seeds release a huge depth of nutty flavor into this easy entrée. If tasso isn't available, substitute smoked ham and 1 tablespoon Cajun seasoning. The squash-and-bean mixture (paragraphs 1 and 2 in the method) can be prepared a day ahead of time; cover and refrigerate. Chef Seth Hargett of Point Clear, Alabama, devised this recipe for what he calls a "reverse boil." Cooked shrimp absorb abundant flavor from the well-seasoned brew. 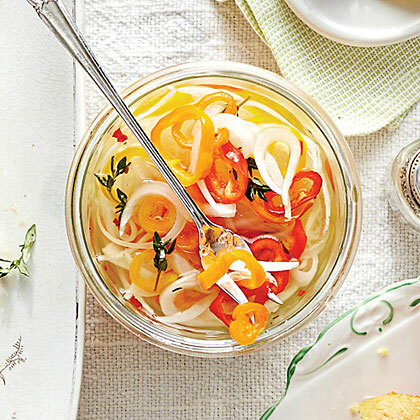 Brine the onions and peppers when you put the pork in the slow cooker so they pickle for at least eight hours. Or make the recipe up to one week ahead--the longer the onions and peppers sit, the better the flavor. The sweet-tart brine is delicious spooned over the succulent pork.